Blackbird Ensemble, New Zealand’s most exciting chamber orchestra, is ecstatic to announce an awe-inspiring homage to the inimitable Icelandic pop artist Björk. In BJÖRK: ALL IS FULL OF LOVE, Blackbird Ensemble serves up an audio feast of Björk’s finest songs across the decades, re-imagining her much-loved classics from Debut through to Medulla and Vulnicura. Taking to the stage with signature flair at Rangatira at Q Theatre with four shows from November 8 – 11, ALL IS FULL OF LOVE will showcase an eclectic chamber orchestra and a glittering cast of vocal talent, with visual design to complement and evoke the themes which provide so much inspiration to Björk herself. The line-up includes the talent of electro-indie-pop artist Sarah Belkner (Australia), enchanting singer-songwriter Anna Coddington, emerging soulful star Teeks, and returning Blackbird favourite the ethereal Jessie Cassin. A band of strings, brass, woodwind, keys and percussion presents custom arrangements with beats made live via acoustic instruments, live object manipulation and foley. Formed in 2010 and led by the group’s unstoppable musical director and arranger, Claire Cowan, Blackbird Ensemble draws musicians from diverse musical backgrounds to perform radical and inventive takes on genres from tango to electronica to classical in evocatively themed settings. Always elaborately costumed, the group has performed multiple productions to sold-out crowds and critical acclaim, taking on works from Radiohead to Philip Glass, PJ Harvey to Prokofiev. 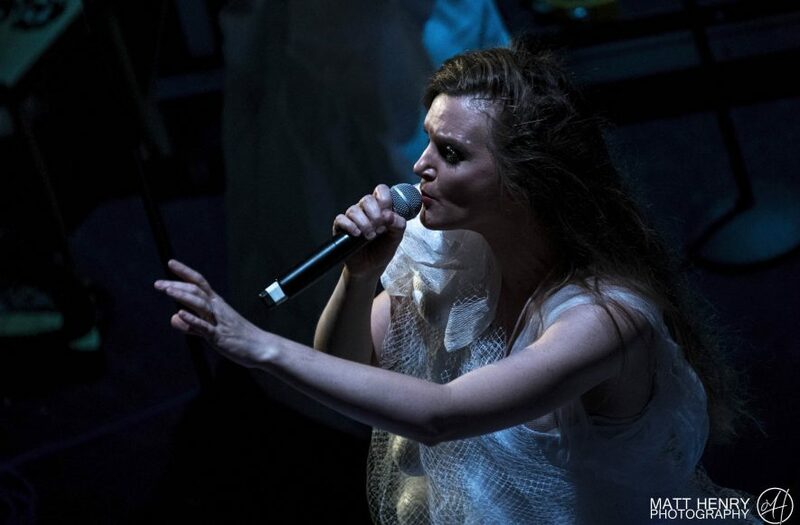 Magical, provocative, and unforgettable, this stunning new show from Blackbird Ensemble reimagines the genre-spanning sound worlds of Björk – don’t miss your chance to see it.